Confession: You could say I’m sometimes a bit of a snob. 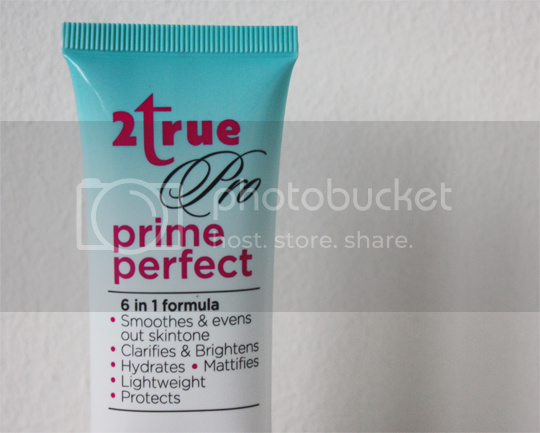 I’d never looked twice at the 2True stands in Superdrug before, nor was I familiar with any of their products until 2True Pro Prime Perfect* came into my possession. Much like super-budget-£1 brand MUA have done with their MUA Pro range, 2True have also released a range of slightly ‘better’ products (for want of a more suitable word) but with similar bank balance friendly prices. Looking at the packaging, I didn’t think much of it. 2True claim this to be a 6-in-1 perfecting formula which smooths skin, clarifies and brightens, hydrates, mattifies and protects the skin from external damage. There are too many contradictory words there for this to be anything other than marketing gumpf, and I have to say I really wasn’t expecting to LOVE this formula. 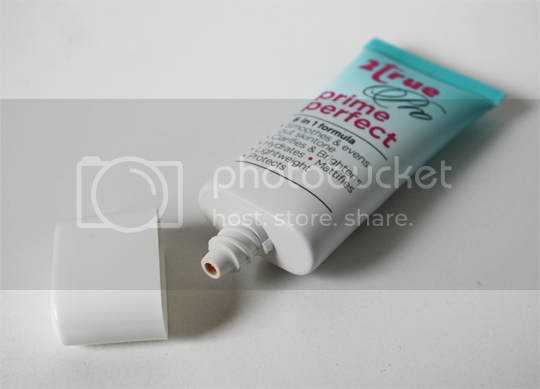 The primer itself is almost a perfect dupe of Benefit’s The PoreFessional. I don’t actually have PoreFessional any more to compare these side-by-side for you, but I did have a trial size of it before and let me tell you, they are nearly identical. If you’re a fan of PoreFessional, Prime Perfect will feel instantly familiar when you squeeze it out of the tube – that same lightly tinted colour, that same soft, silky and silicone-y balm like feel, and the ability to create a completely smooth canvas of your face without caking it up. It’s pretty flippin’ spectacular, and in fact I actually prefer this to PoreFessional as it applies slightly easier. One teeny tiny niggle I have with it is that it doesn’t feel like the tube is filled all the way, but really, it’s so cheap that it’s not the end of the world and it’s still miles better value than its high-end Benefit cousin. 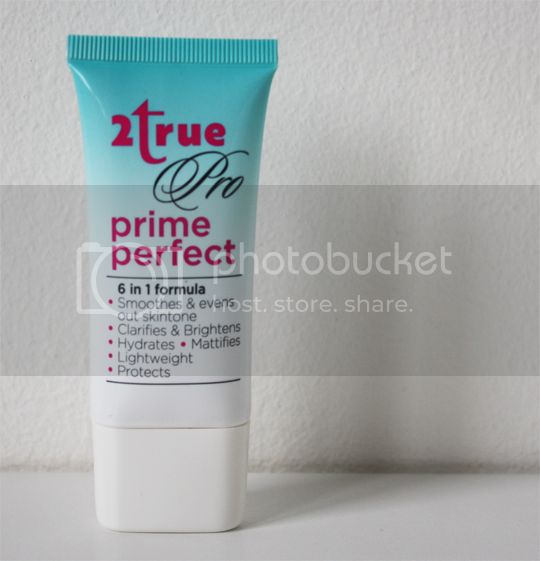 If you need a new primer, you really can’t go far wrong with 2True Pro Prime Perfect. You can pick it up in Superdrug for just £5, yes really. What are you still reading for? Superdrug, go, now! Sounds like a great bargain buy! !